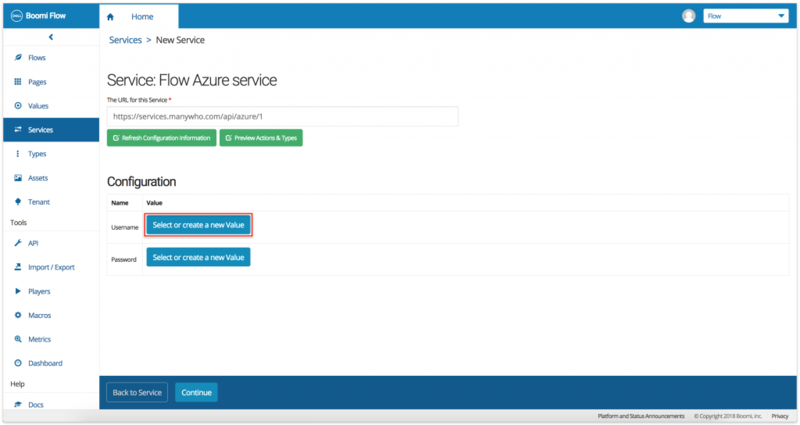 Here is how we can configure the Flow Azure service. 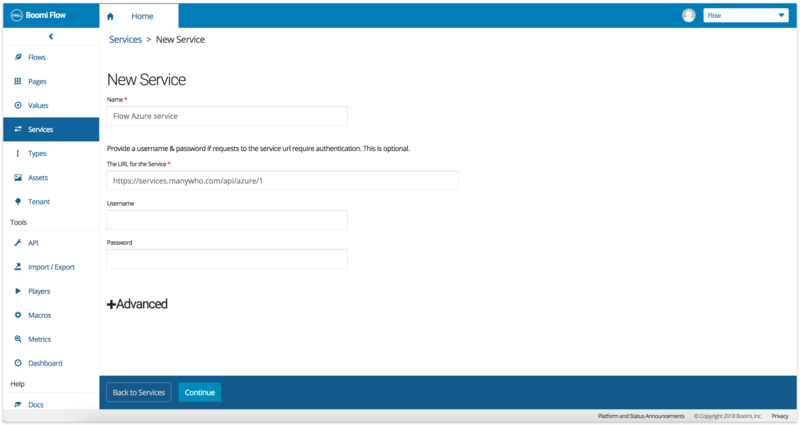 Click here to sign in to Azure. This opens a permissions page. We get an authorization success message. Let’s go to Flow now. We will add the Flow Azure service. This opens the service installation screen. 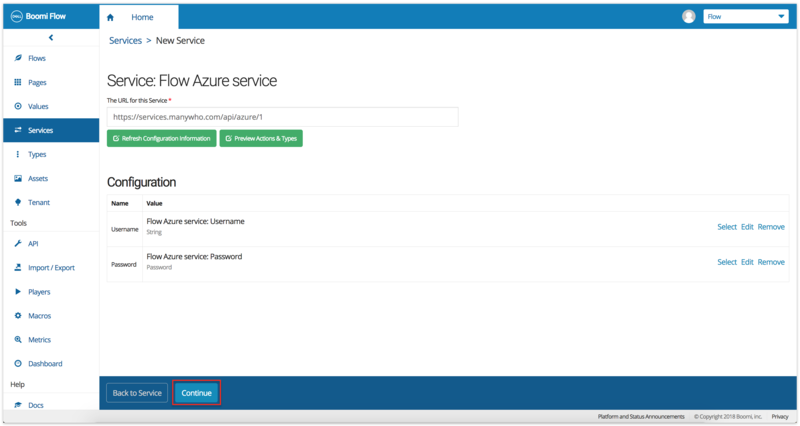 Copy-paste Flow Azure service in the Name field and https://services.manywho.com/api/azure/1 in the URL for the service field. Click Continue when done. 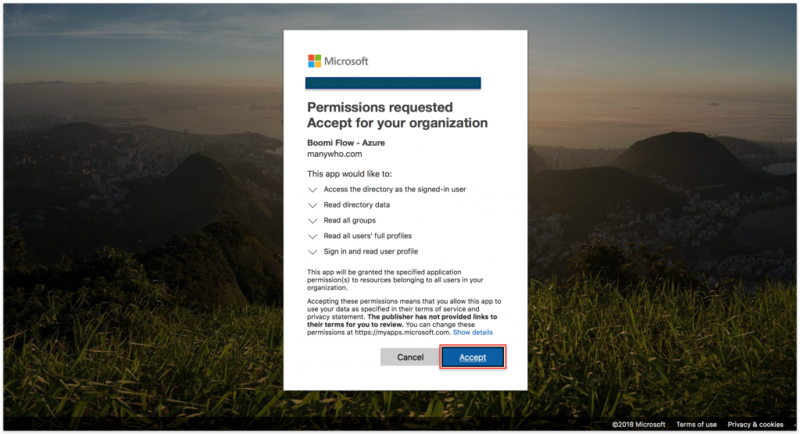 This opens the screen where we will enter our Azure credentials. You need to have Azure admin privileges to be able to do this. Click Select or create a new value for Username. 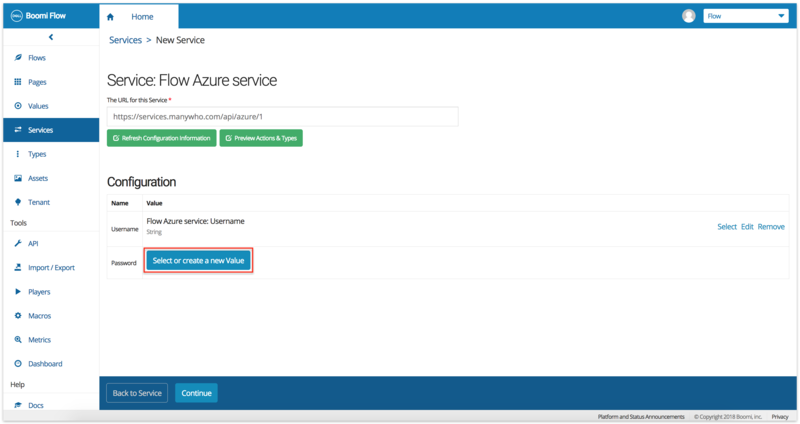 The Name of the value will be Flow Azure service: Username. The kind of value will be String. 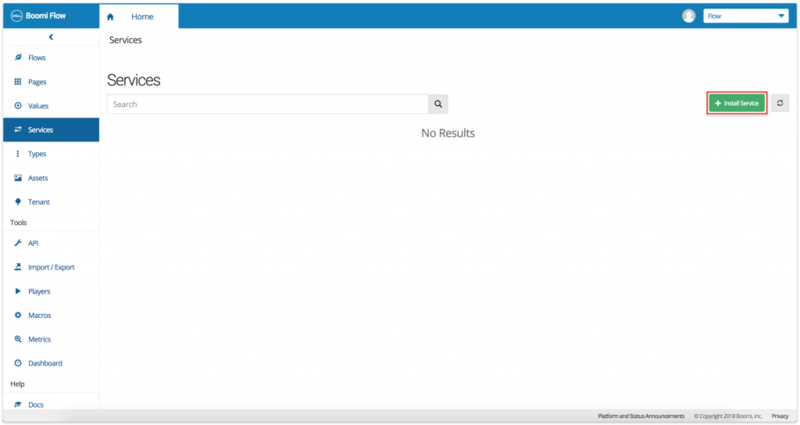 Enter your Azure username in the Default Value field. Click Save when done. We will do the same exercise for the password now. The Name of the value will be Flow Azure service: Password. The kind of value will be Password. 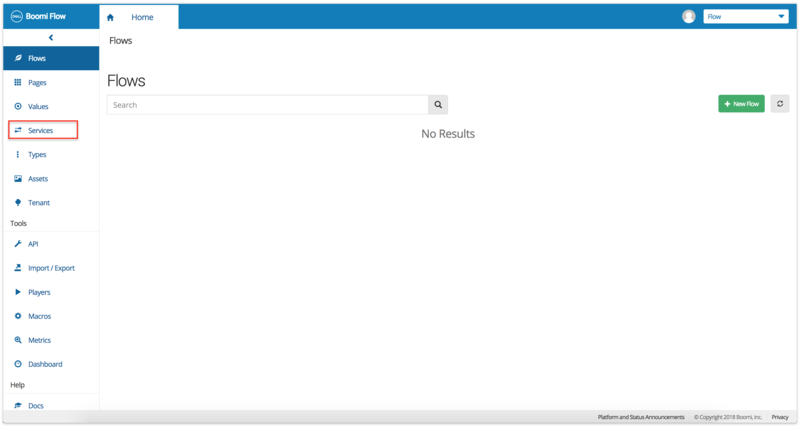 Enter your Azure password in the Default Value field and click Save. We will get a message saying “Flow Azure service” installed successfully. 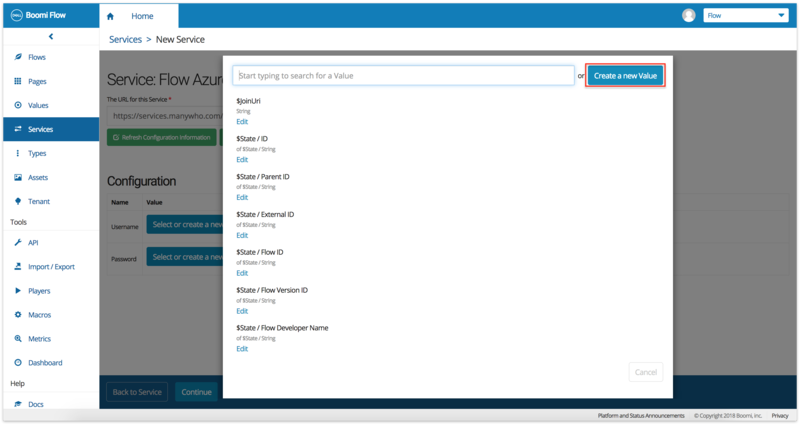 The Flow Azure service is now installed and ready to be used. Happy building!